Unisex George Strait pullover for those cool nights! Port and Company Classic Pullover hooded sweatshirt that is a 7.8-ounce, 50/50 cotton/poly fleece, Air jet yarn for a soft, pill-resistant finish. 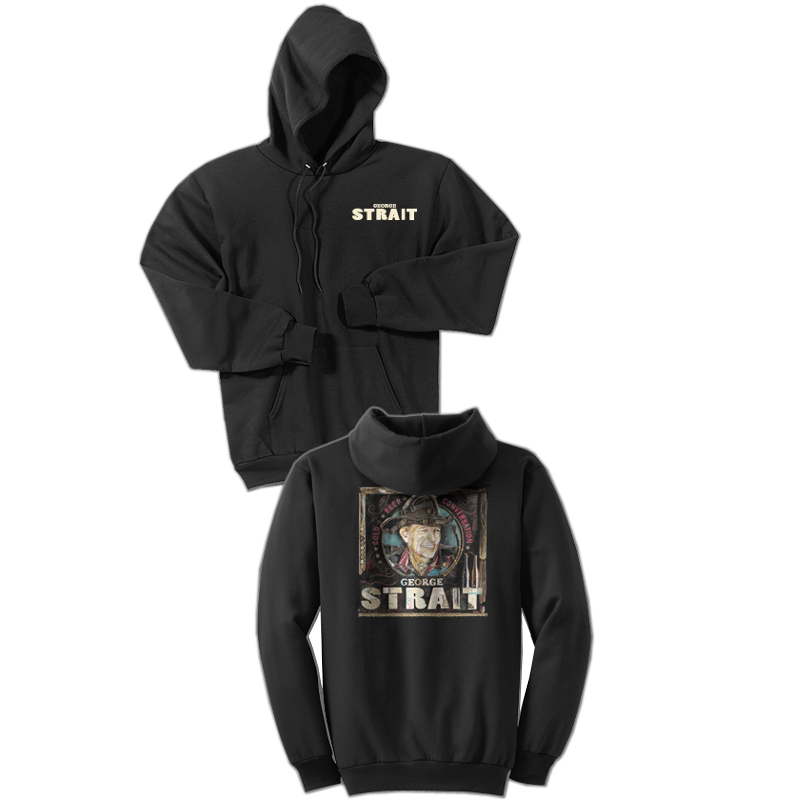 Simple George Strait logo on the front left chest and Cold Beer Conversation album cover on the back.